A man has admitted fighting with his partner and biting one of her legs to her injury following a three-day jury trial. 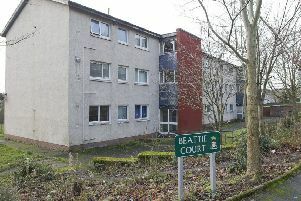 Ricky Lee pleaded guilty to behaving in a threatening or abusive manner at his home in Beaconsfield Terrace in Hawick last March, uttering threats of violence and struggling and fighting with her. The 39-year-old also admitted throwing wine over her in Coopers Bar in Hawick in October 2016. A not-guilty plea to abducting the woman at his home and assaulting her to her severe injury and permanent disfigurement was accepted by the crown. Lee’s guilty pleas were negotiated after three days of evidence at the jury trial. Lee was admonished by sheriff Peter Paterson due to the length of time he had spent in custody in connection with the matter.